Captain Towing Dallas offers all kinds of towing and roadside assistance services in Dallas and its vicinity. One of these services is gas filling tailored to solve situations where you run out of gas midway. We are reliable, fast, professional and offer hard to beat rates. 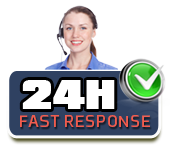 We are available for immediate response 24/7 and guarantee a 30 min ETA to anywhere in or around Dallas. If you need out of gas services in Dallas your best choice is to call on us to provide you with them, after all, why pay more for less? Just like with everything else we do, whether towing or roadside assistance related, our out of gas services are highly professional. You may think that there’s nothing much to midway gas filling but in fact if done carelessly there are dangers involved, just consider the damage to your car’s engine if the wrong kind of petrol is poured into the gas tank, not to mention the real risk of fire. Taking all into consideration it becomes apparent that if you need out of gas services you should insist on having a highly professional tech perform them. Captain Towing techs are all of the kind you want handling an out of gas situation for you. Our techs are all highly professional and they take pride in being able to assist in times of need. At Captain Towing Dallas we value your time, we know how frustrating an out of gas situation can be and so we go to great lengths to provide you with the quickest possible solution. Our out of gas services are so fast thanks to our constant state of readiness and our extensive fleet of service vans, we always have a tech on standby for immediate response.